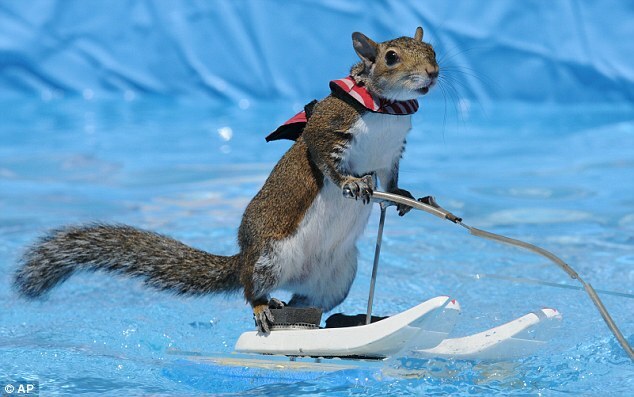 You might not be able to teach an old dog new tricks, but you can certainly teach a squirrel how to water-ski, as these remarkable pictures show. 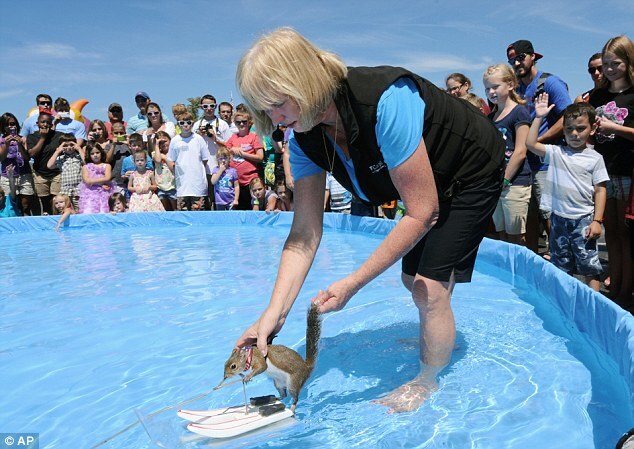 Twiggy the squirrel sent the crowd nuts at the Family Fun Zone in St. Joseph, Michigan yesterday az she displayed her amazing aquatic skills. 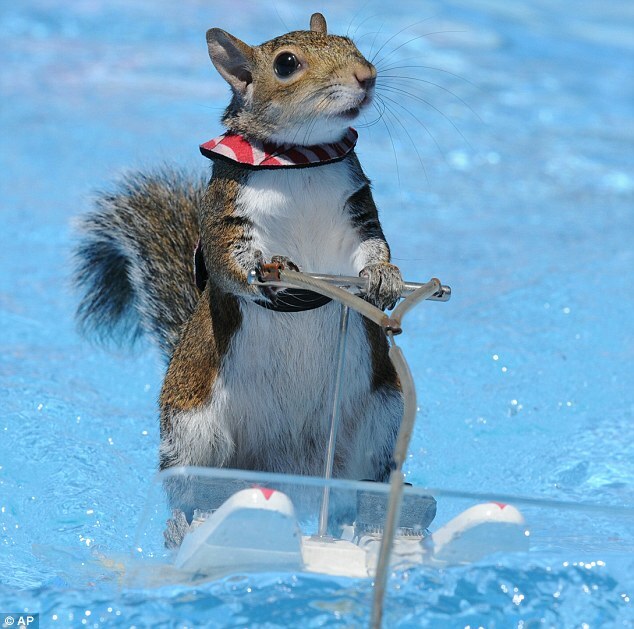 The talented rodent stands on a specially made skis holding a miniature cable as her owner tows her around the pool with a remote-controlled toy powerboat. Keen to promote a message of safety to the youngsters in the audience, Twiggy never ventures into the water without her custom-made miniature life vest. There have in fact been four Twiggys over the years. The original was rescued as a baby by Chuck and Lou Best of Florida in 1978 after it was blown from its nest during a hurricane. The idea to teach her to water ski began as a joke after Mr Best bought his daughter, Lalainia, a remote-control boat. 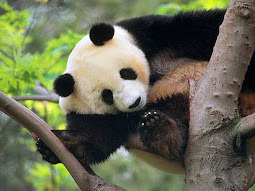 Twiggy has now achieved celebrity status and currently tours the U.S, drawing large crowds wherever she goes.